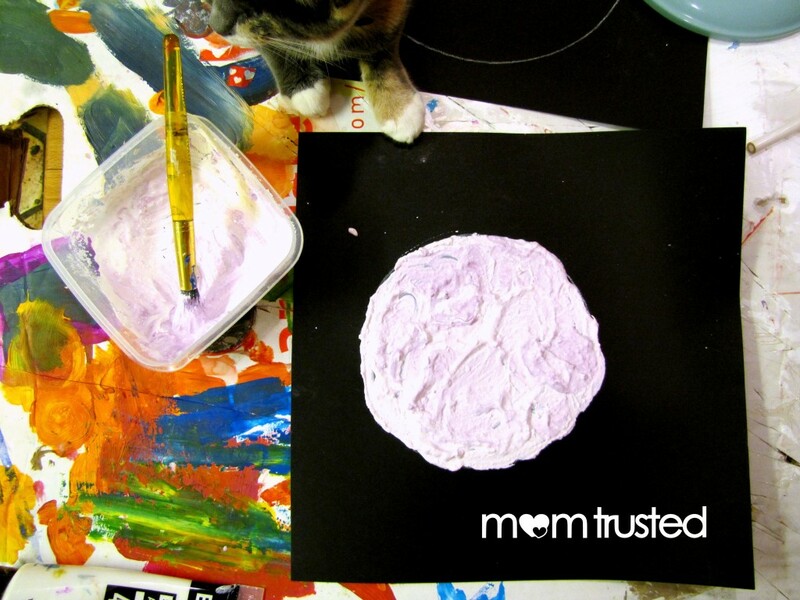 Mix up a batch of thick gooey paint, and see what kind of moons you can come up with! I first saw this idea over on I Heart Crafty Things, but we decided it would be fun to try and make some different colored moons! Trace your circles. 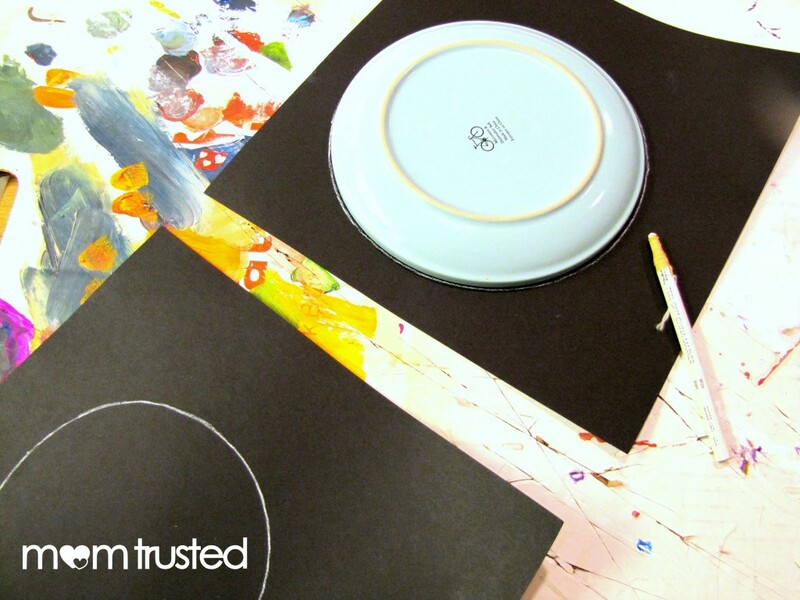 We made one small (a bowl) and one big (plate) moon, to see how different sizes would look! Experiment with some different sizes. 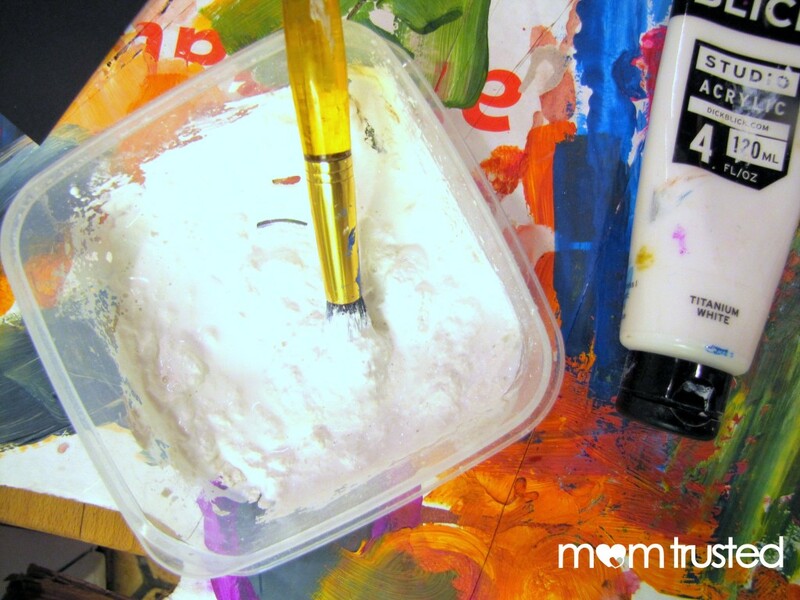 Squirt some paint into your container, and slowly add flour til you get a good, thick consistency. Decide on a color to make your moon! Add food coloring drop by drop, and let your little helpers stir it up. 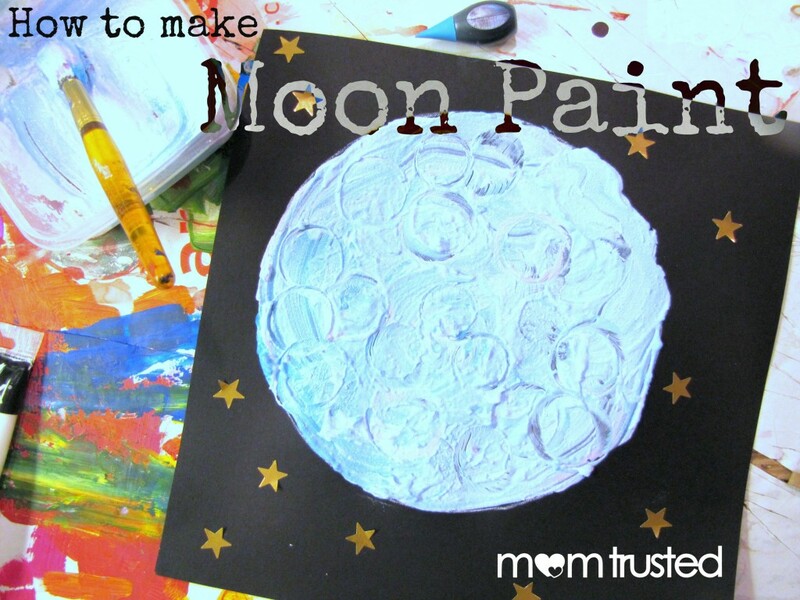 When the “moon paint” is the color you want, fill in the traced circle with THICK paint. The more the better! 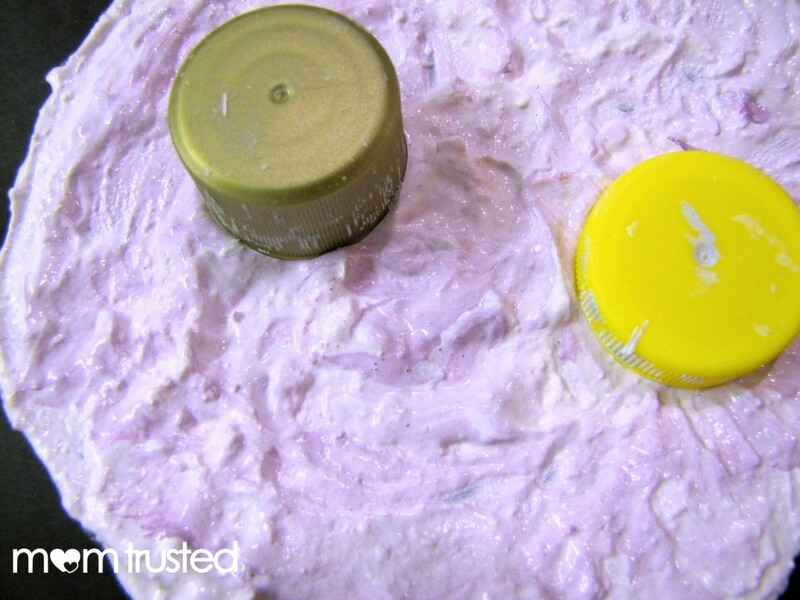 Use a variety of bottle caps to make craters – as many or as few as you like. 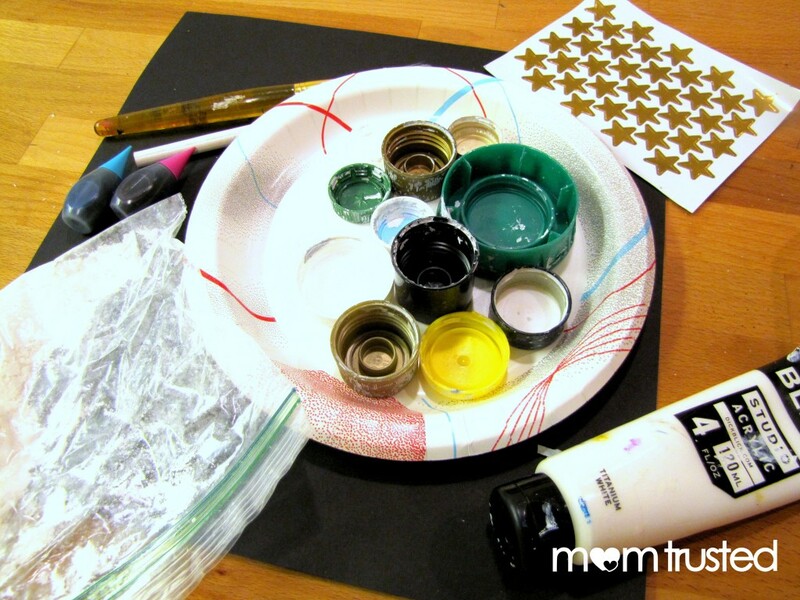 While it dries, add some star stickers to make it extra spacey! After making one, try it out with a different “favorite color”! We tried purple first, and then blue. – We needed to water down our moon paint a little, and you may find the same thing. A little warm water in the paint mix does the trick! – If you don’t have a china marker for drawing your circles, try chalk or a white colored pencil. – When choosing colors to make your moons, consider mixing some! You can add as much or as little dye as you like, for a very intense or very subdued color. – This project may take a WHILE to dry, because of the thick paint – and it should dry flat, to avoid drips. What color moon did you make? Share your pictures with us on our facebook page!